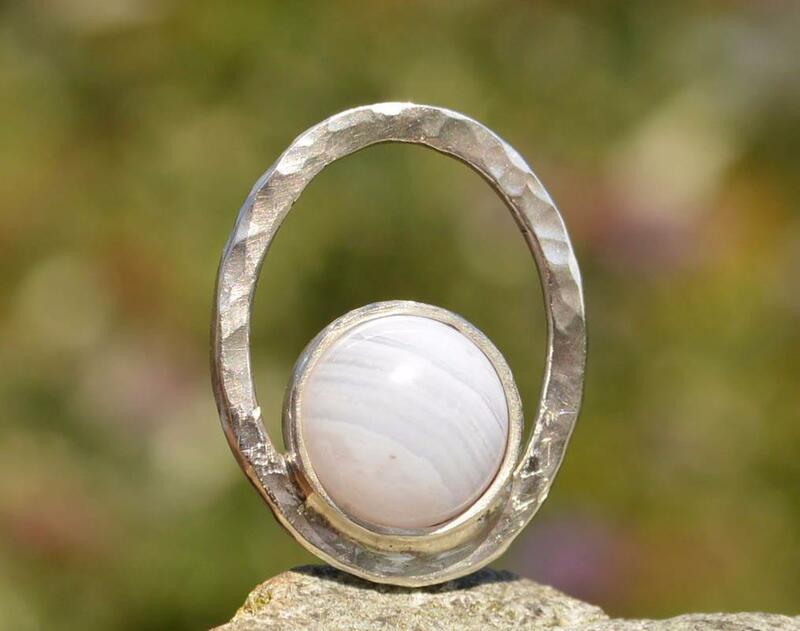 A beautifully banded 10mm blue-lace agate in sterling silver. 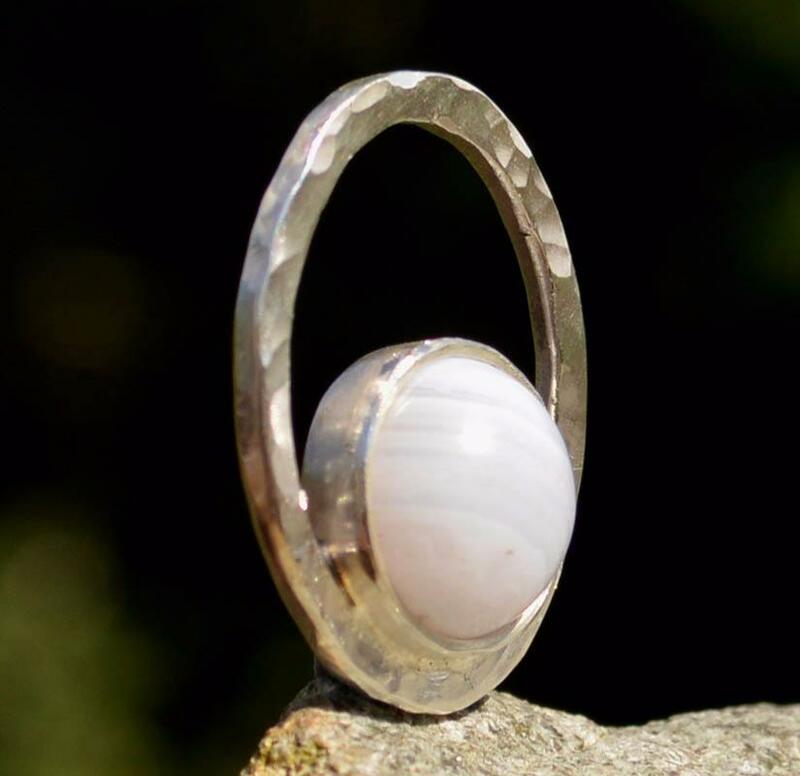 "Blue lace agate is most useful at the locations of the throat chakra, heart chakra, third-eye chakra and crown chakra. Activating these chakras, it helps one to enter into high-frequency states of awareness.” Melody, Love is in the Earth.